Using oils in hair is recommended as a blanket solution for almost all hair dilemmas. Oils have a multi-dimensional effect that can solve everything from lifeless tresses, damaged ends, to calming generally stressed out hair. 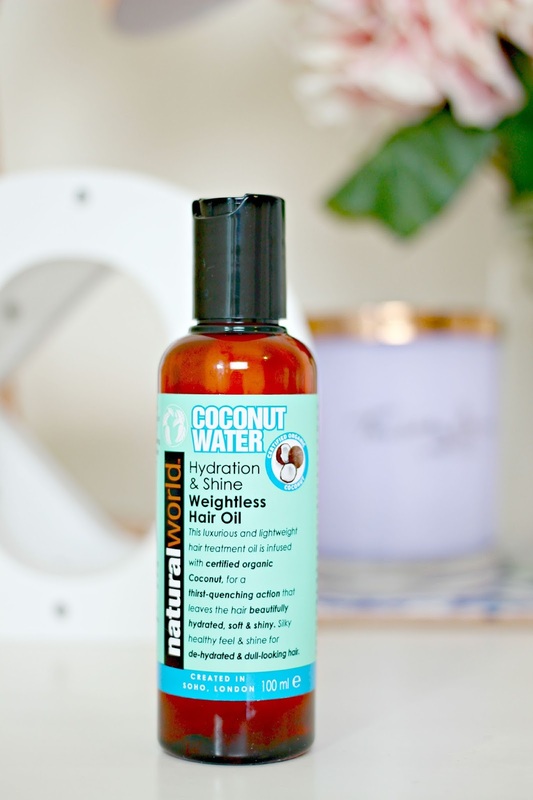 You’ve probably heard it before, from mothers, friends, beauty bloggers and magazine editors – and with fans that far reaching, it’s probably about time you introduced an oil into your haircare routine. 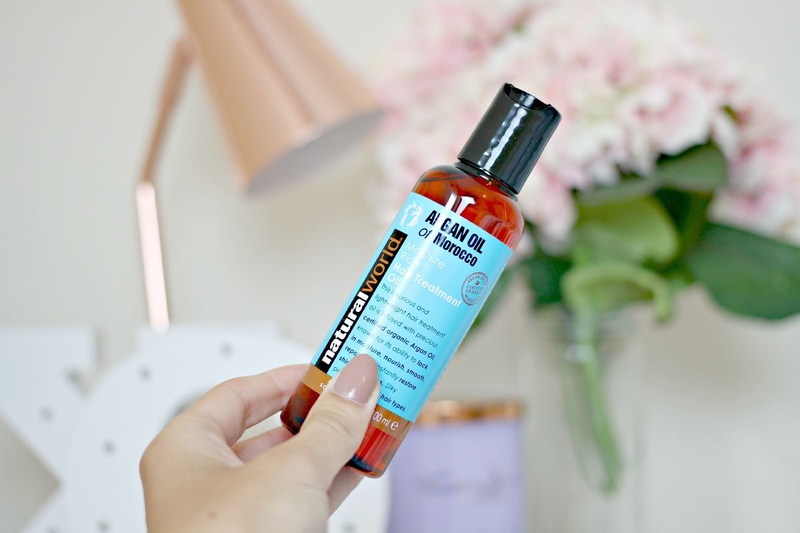 If you needed a little nudge, here are my top 5 reasons why you should be using hair oils, and an industry secret about where you can buy oils in a ‘bunch’ so you can save money, and try a few different options to figure out which type is best for your hair. Off the top of my head, I could probably list about 15-20 benefits of using hair oil. I love using oils to detangle wet hair, while adding nourishment. They are also a sealant so they seal the cuticle down smoothing hair and preventing frizz. Oils are also great heat protectants and overall, give hair the health boost that it’s craving. The most long lasting benefit is all the fatty acids in your hair oil, which replaces the lipids in your hair as it starts to get really fine. Your hair breaks because nothing is holding it together, but oils build up these lipids to strengthen hair and protect from breakage. 2. Application is easy peasy. When I first tried a hair oil, I spent time sectioning my hair and ensuring that it was evenly distributed, but now, I don’t bother. I just put a drop of oil into my hands, rub it together then rake through my hair evenly and comb through. As my hair is thick, I often add more drops but it’s best to start with one and add, as you can’t take it away once it’s in. Be sure to avoid applying oil close to your scalp as you can’t beat the natural oils from your scalp – they’re the best conditioner that your hair needs – so keep oil at least three of four inches away from the scalp but comb it all the way through to the ends of your hair. 3. You can Personalize them. Different oils have different benefits, so target them to your needs. If you have dry, damaged hair then you’re going to want something a bit heavier, such as a Coconut Oil – as dry hair is very absorbent. Coconut oil is incredibly moisturising and you can even add it to your usual conditioner as an extra treat. Argan oil gives the benefits of leaving your hair soft, silky and smooth, and as the oil will reflect light, your hair will look super shiny. I’d be wary of using it every day though, as it doesn’t rinse right away so it may get two or three shampoos to remove all the formula. Keratin will mimic the natural composition of human hair, so is able to provide targeted repair to damaged hair, as well as controlling any frizz, and restoring shine and softness to overworked hair. 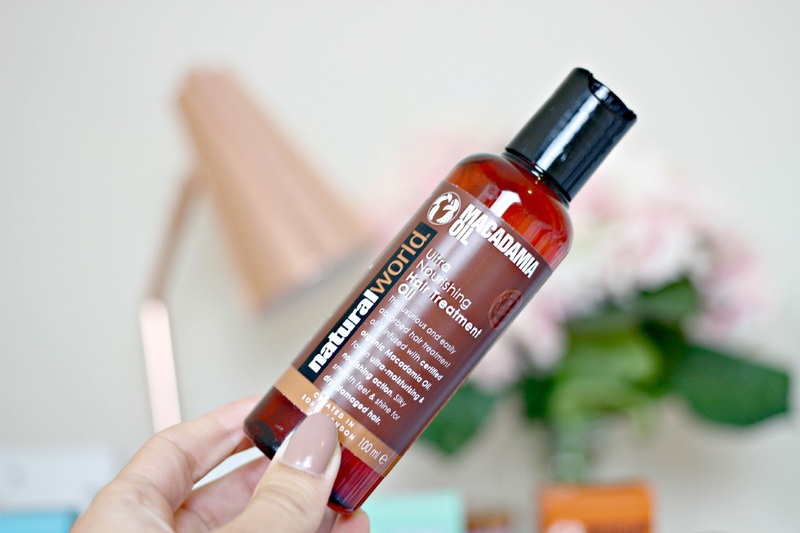 Finally, Macadamia Oil is the most luxurious of the bunch. A leave in formula which is ultra moisturising and leaves hair silky soft, glossy and smooth. If you’re not sure which type of oil your hair needs, then test out a few options. 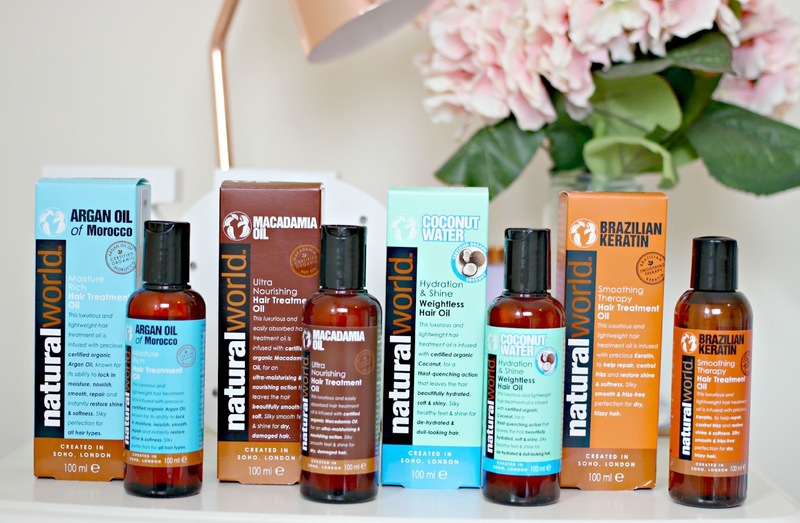 The best way to do this is to buy in a bunch – you can get pretty much a year’s supply of hair oils for less than £25 from Beauty & The Bunch, so you’re saving money and getting to try out each of the oils. 4. There’s more than one use. Still not sold on using hair oils? Well it’s not just after you wash your hair that they come in handy, you can add it to your shampoo or conditioner to really treat your hair. Add a drop or two into your shampoo to combat the stripping effects of shampoo, or treat yourself to a scalp massage before you wash your hair for a pampering treat and silky soft hair. 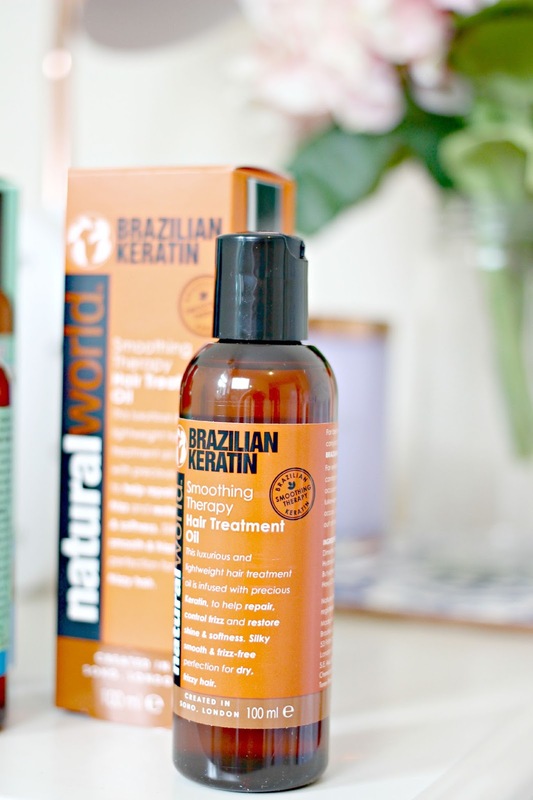 Treating your hair doesn’t have to cost the earth, and this bunch of hair oils from Natural World is the greatest example of ‘affordable luxury’. Created in the heart of SoHo, the oils are infused with the highest quality of oils and extracts, leaving your hair stronger, softer and smoother without pumping it with chemicals which weigh hair down in the long run. All of these benefits don’t come at a cost, by buying them in a bunch you can get your hands on all four for under £25. So, have I persuaded you? I’d love to know you you incorporate oils into your hair routine?